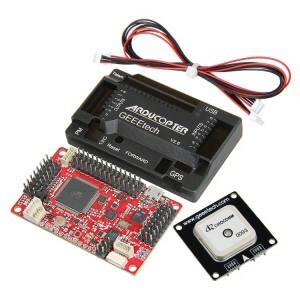 This is a 9DOF ArduIMU including three sensors - an ITG-3205 (triple-axis gyro), ADXL345 (triple-axis accelerometer), and HMC5883L (triple-axis magnetometer). 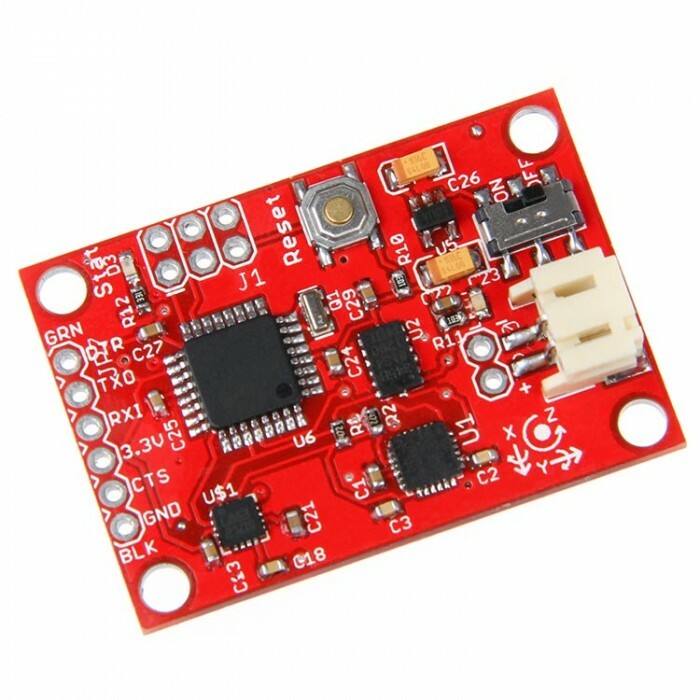 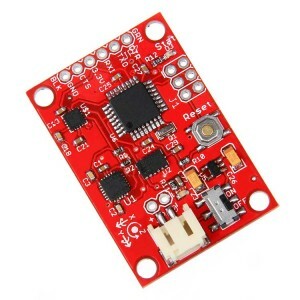 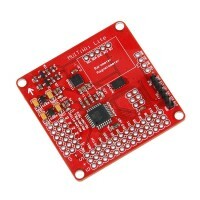 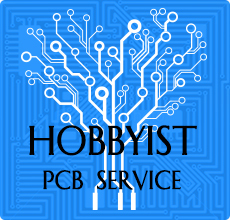 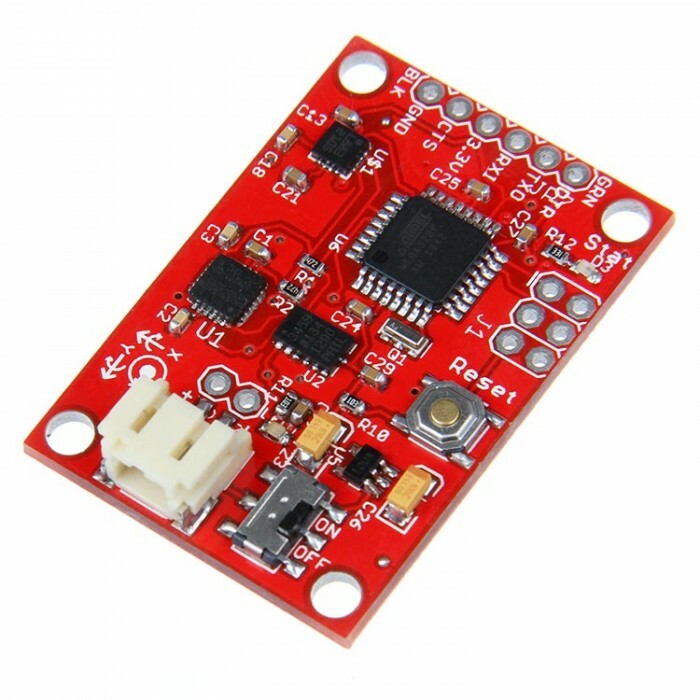 This board comes programmed with the 16MHz Arduino promini bootloader, simply connect to the serial TX and RX pins with a 5V FTDI Basic Breakout, the wiki page and the demo cods will guide you how to test and program it. 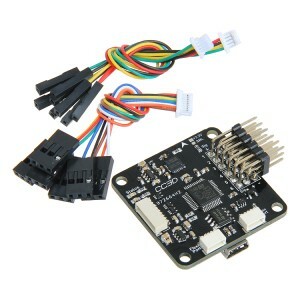 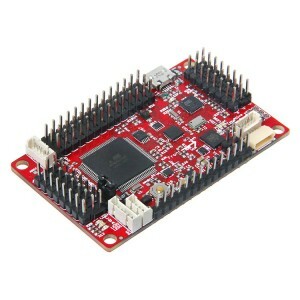 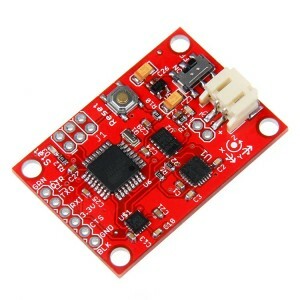 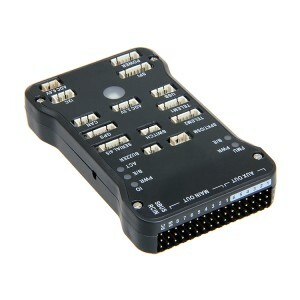 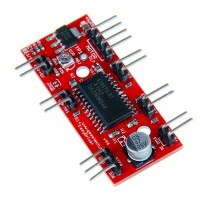 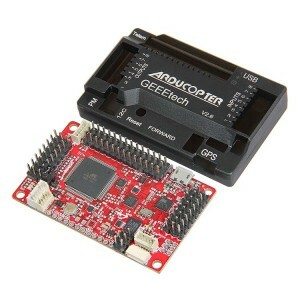 You can use the Arduino IDE to program your code onto the 9DOF, just select the 'Arduino Pro ATmega328 as your board. 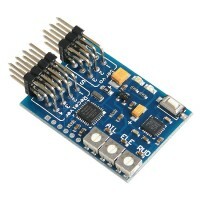 The outputs of all sensors are processed by an on-board ATmega328 and output over a serial interface. 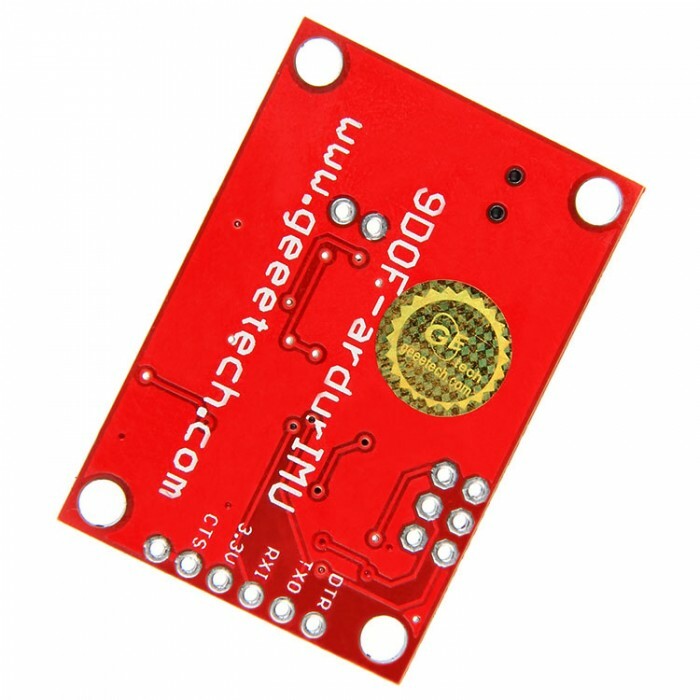 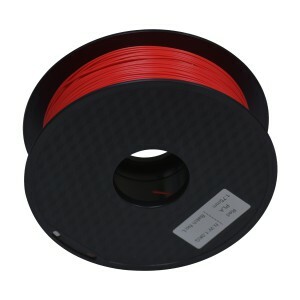 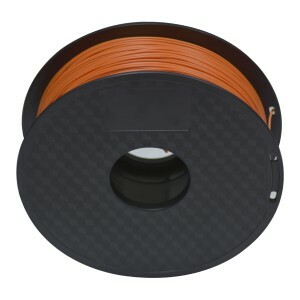 This enables the 9DOF ArduIMU to be used as a very powerful control mechanism for UAVs, autonomous vehicles and image stabilization systems.